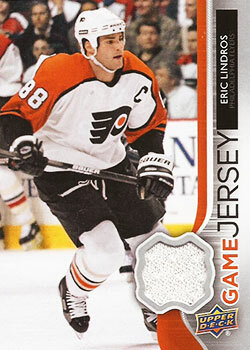 Eric Bryan Lindros (born February 28, 1973) is a retired Canadian professional ice hockey player. 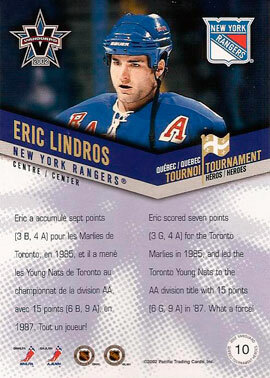 Eric Lindros played junior hockey in the OHL for the Oshawa Generals prior to being selected first overall in the 1991 NHL Entry Draft by the Quebec Nordiques. 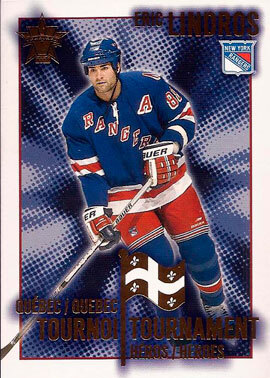 Lindros refused to play for the Nordiques and was eventually traded to the Philadelphia Flyers in June 1992 for a package of players and draft picks including Peter Forsberg. 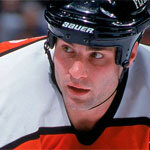 Eric Lindros started his NHL career with the Flyers during the 1992–93 season. 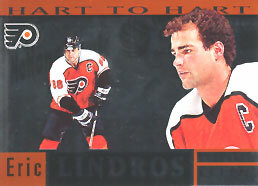 Lindros was an exemplary power forward, and averaged more than a point per game. His hard-nosed style caused him to miss significant time with injuries, and he had many problems with concussions. 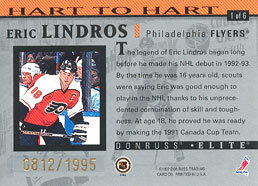 Lindros captured the Hart Memorial Trophy and Lester B. Pearson Award after the lockout-shortened 1994–95 season. 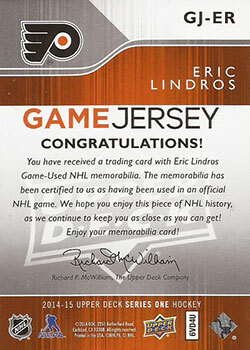 In August 2001, Lindros joined the New York Rangers via trade. 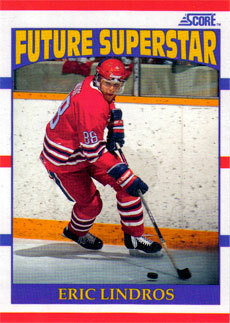 He signed with the Toronto Maple Leafs for the 2005–06 NHL season. He finished his career in 2006–07 with the Dallas Stars.